Forget everything you’ve heard about red and pink clashing. This year, the rosy hues have joined forces to create one of fall’s biggest—and brightest—trends. 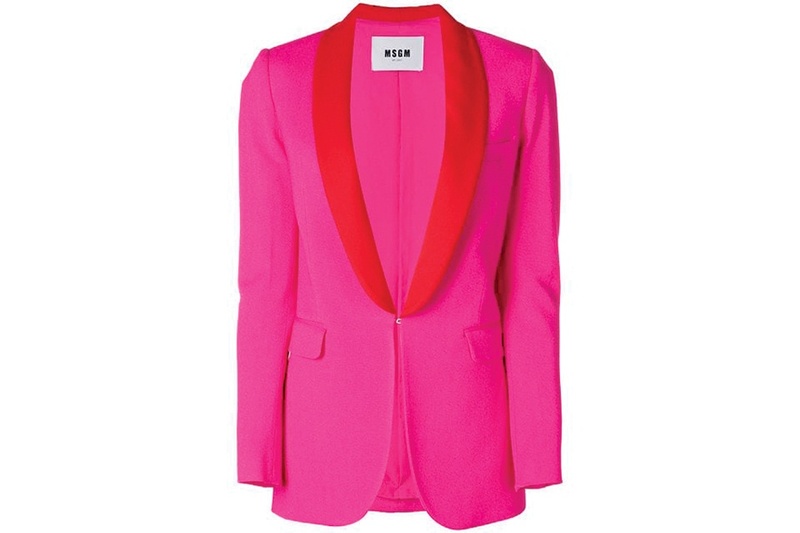 By Abby Bielagus·	 10/3/2018, 5:42 a.m.
MSGM polyester blazer, $595, Saks Fifth Avenue. 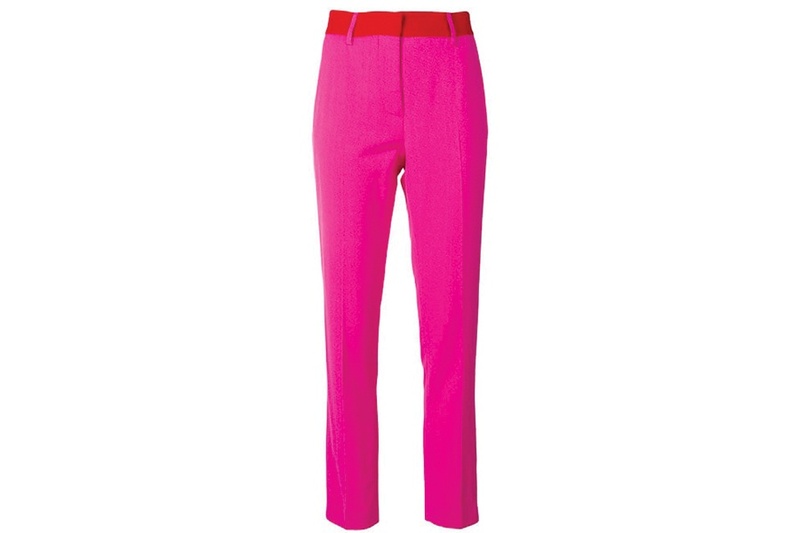 MSGM viscose trousers, $365, Saks Fifth Avenue. “Sheldon 100” leather booties, $1,050, Jimmy Choo. 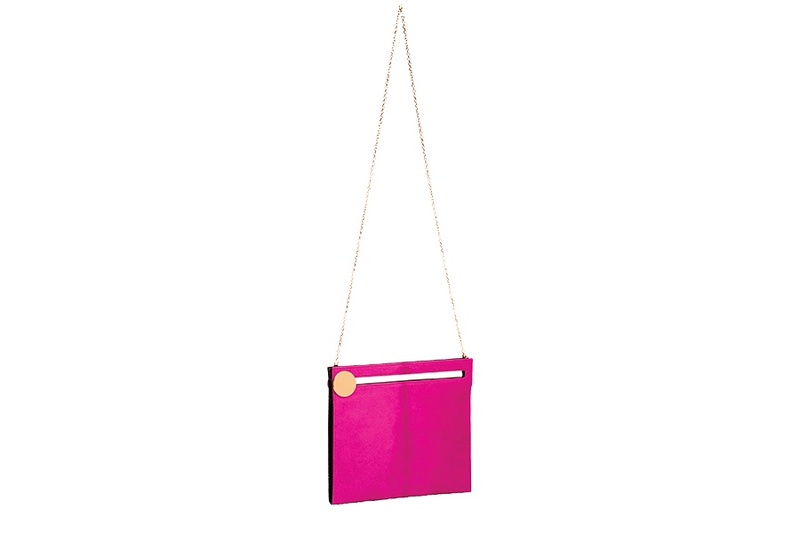 Bienen-Davis calf-hair-and-leather clutch, $1,895, Olivela. 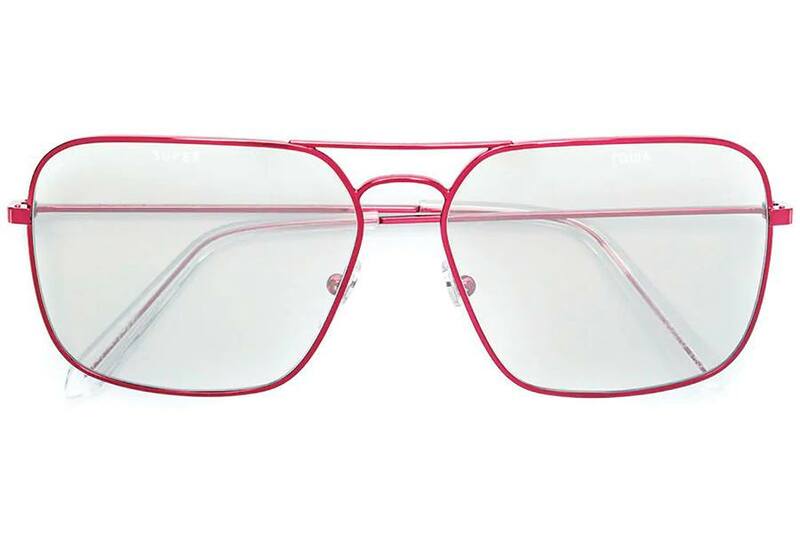 “Retrospective Future” sunglasses, $325, All Too Human.